Danger act Aaron Crow shocks Howie Mandel and the crowd on America’s Got Talent Season 13 Auditions Week 2 Episode on Tuesday, June 5, 2018. Aaron Crow drips hot wax onto his eyes and grazes Howie’s head with a sword. 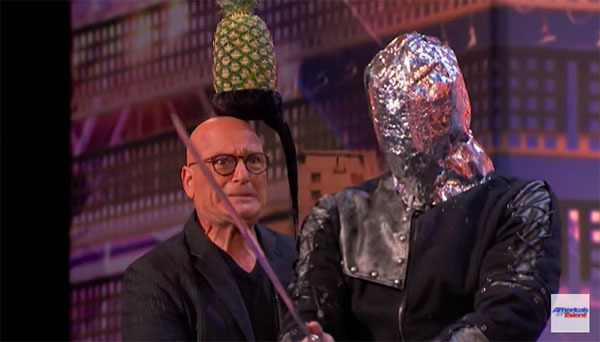 From slicing a pineapple with a sword, to breaking wooden boards with nunchucks, Aaron brings the danger to AGT.